A bold new way of thinking. That summarizes the 2019 Nisan Rogue. Purchase or lease your 2019 Nissan Rogue at Flagstaff Nissan. Now with Nissan Intelligent Mobility™ and ProPILOT Assist™ standard, the Rogue is the clear choice when you’re in the market for a crossover SUV. 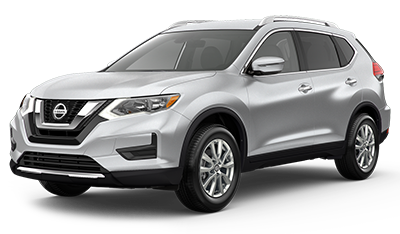 The 2019 Nissan Rogue is available for lease or purchase at Flagstaff Nissan. The Nissan Rogue offers better handling and performance than the Toyota RAV4. With a wide range of trim levels, the Nissan Rogue also offers more variety. And you can’t dismiss the ace card: the Rogue offers better safety systems. Comfort, performance and safety… the choice is obvious: the 2019 Nissan Rogue. Safety is of paramount importance to Nissan and Flagstaff Nissan. Both vehicles offer impressive driver assist technologies. But where the Rogue can’t be equaled is with Nissan ProPILOT Assist™ and Nissan Intelligent Mobility™. You’ll drive with total peace of mind knowing you’re riding in one of the safest and smartest vehicles in the market. Now that you’ve read why the 2019 Nissan Rogue is a better crossover for Arizona drivers, stop by our Flagstaff car dealership and test-drive your favorite one. 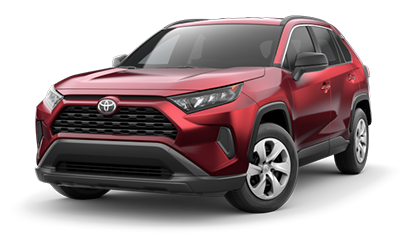 Click the button and fall in love with your next SUV.